Watermelon Web Works > Blog > Website Redesign > Is it time to change themes on your WordPress website? Is it time to change themes on your WordPress website? There are many reasons why you may want to (or need to) move on from your old WordPress theme to a new one. Perhaps the former look and feel is too out of date for your taste. Or more likely your theme is out of date, and has become incompatible with necessary plugins. Or the theme may even have issues with the WordPress CMS itself. The popular Canvas theme was retired by WooCommerce, and this will require many e-commerce sites to switch themes. Older themes that have not been kept up to date may also clash with PHP 7. Changing themes should be as simple as clicking the new theme’s “Activate” button on the Appearance page in the WordPress admin. But unfortunately there can be a lot of complications and gotchas. Of course the first step should always be to create a backup of your site’s files and database. Then it is essential to create a development site where you can try out new themes and troubleshoot any issues. A development site will allow you to compare the old site to the new, which makes is much easier to spot display errors and conflicts. You want your theme to last as long as possible, and to be kept up-to-date with the latest WordPress security patches and code fixes. 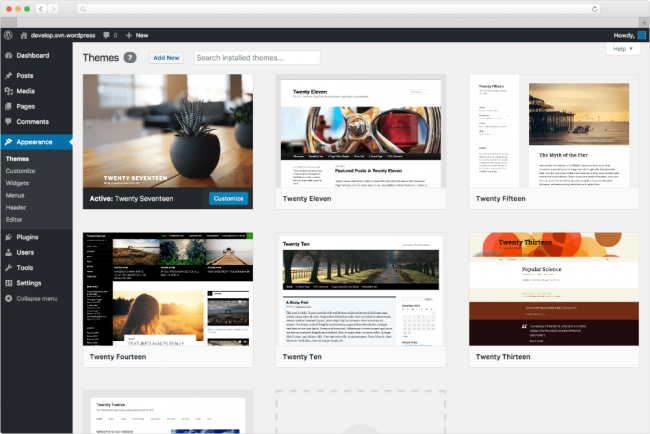 Choosing a native WordPress theme (like twentyseventeen) is always a safe bet. The WooCommerce Storefront theme and its many child theme variants are also solid choices. The good thing about twentyseventeen or Storefront is that these are very basic themes that are easier to customize to match your branding. If it’s important that your site has a completely unique look and feel, and you have specialized functional or presentational needs, a customized theme will always be your best option. 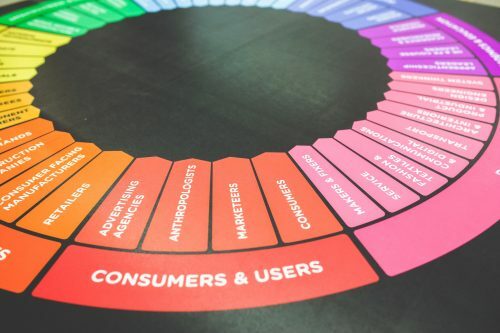 There is no substitute for spending time with a professional design and marketing expert to identify your specific business needs and how to use your website to meet your goals. Once the design phase is done, a talented development team will build your custom theme to bring the design to life as a fully custom website. If you don’t already have a palette and UI in mind, you may be happy with a theme that already has many design elements. Parallax backgrounds, animations, advanced menus, feature boxes, and sliders are all time-consuming to implement, so if you want these features, look for a theme that already has them baked in. But do make sure the theme is from a trusted developer. Look at how many other themes they have made, check the reviews and number of downloads, aa well as the last update &emdash; these are all good indicators of theme quality. You also want to ensure your theme will be compatible with necessary plugins (e.g. : WooCommerce, Gravity Forms, etc). If you are not sure which theme to upgrade to, try out our handy WordPress theme quiz. Where did my homepage go? One of the biggest problems with migrating to a new theme is the use of custom theme settings to create the homepage, sidebars, and other structural elements. This may cause the homepage content or sidebars to disappear entirely when a new theme is activated. The old content will need to be copied over, and either put into a proper page in WordPress, or entered into the new theme’s settings. The slider, Google Analytics tracking, and some SEO settings may also be stored in the theme and need to be migrated. Your old theme may have had custom post types, shortcodes, or widgets that disappear when you switched themes, so these will need to be re-created, either manually in functions.php, or with a plugin. Alternatively you may decide you don’t need some functionality. It can be difficult to see what features are necessary on your site if you have become used to it. Installing a new theme can be an opportunity to delete old plugins. A new theme might have different menus or a different slider — and maybe that’s ok. In fact, perhaps it’s a good thing. Modern designers are continually revamping what a usable and attractive website should look like. It wasn’t long ago when all websites had layers of borders and drop shadows. Now everything is very mobile friendly with blocks of color and few borders, since these take up valuable screen space on small mobile displays. Changing the display of posts and products can lead to various problems. You may want to hide the default meta (the tags, categories, author, and other info that WordPress automatically adds), or some portion of it, but that will also hide the link to the product. You’d think that by default the WooCommerce Storefront theme would link a product image to its page, but it does not. A custom function (unless you want to modify the original theme which is never a good idea) is the way to go. Just a few lines in functions.php and you can easily add links or other custom meta (like size, brand, etc) to the product display. It can take some detective work to track down the right CSS styles to modify the display of simple elements like menus and buttons. Styling menus can be tricky because the mobile menu and the responsive styling need to be considered; otherwise you may end up with menu elements colliding with header images and page text. The button colors will probably need to be re-styled in several places — on the homepage call-to-action buttons, on the cart and checkout pages, form submit buttons, etc. Some of the changes necessary may conflict with other parts of the site. All of a sudden buttons are disappearing, or black text is shown on black buttons. Computers only do what you tell them. To get enough CSS to override the theme buttons or menus, including borders and hover effects, on all display sizes — it can take hundreds of lines of code! No matter what level of customization you desire, it’s a process that will take some time and WordPress expertise. Thankfully, we’re here to help! Please let us know if we can help you with a WordPress theme change or redesign.